Sigma is a company that makes lenses for just about every DSLR camera out there. The company also makes its own cameras as well. 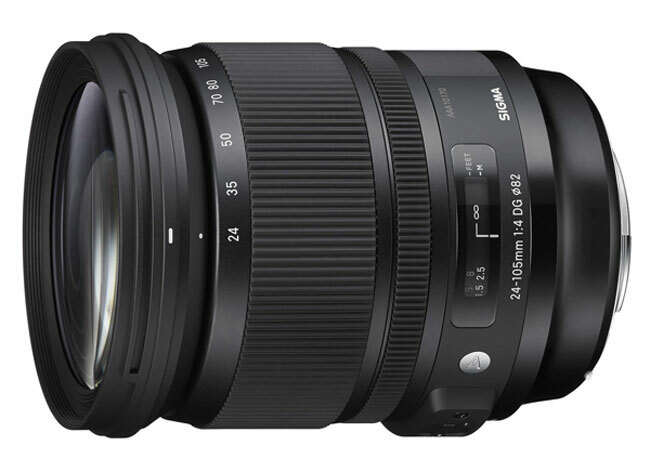 Sigma has announced that its latest Art lens will launch next month. The lens is the 24-105 mm F4 DG OS HSM and it will sell for $899. The first of the lenses to hit the market will feature Canon mounts. The lens will be available with both Nikon and Sigma mounts in December. Shortly thereafter, the lens will be available for Sony mount digital cameras. All of the lenses will include Sigma Optical Stabilizer technology to help reduce blur in pictures resulting from camera shake. The Sony mount lens won’t have the integrated Optical Stabilizer because the Sony uses image stabilization in the body of its cameras. The lens covers the basic shooting range from wide to medium tele with an inner focusing system that eliminates rotation of the from lens. Sigma says that enhances the lens stability and allows photographers to use circular polarizing filters. The lens offers a minimum focusing distance of 45 cm and a maximum magnification ratio of 1:4.6. The lens uses high-performance glass elements including SLD and FLD. The lens is designed for full frame cameras but will work with APS-C sensors with an increase focal length.